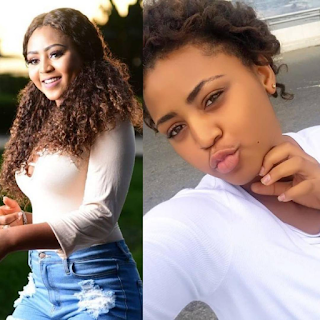 Actress, Mercy Johnson-Okojie took to her IG page to celebrate teen actress, Regina Daniels who is a year older today. 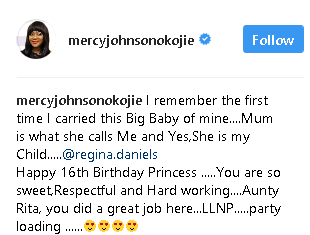 Happy 16th Birthday Princess .....You are so sweet,Respectful and Hard working....Aunty Rita, you did a great job here...LLNP.....party loading ......����"
Am I the only one noticing that people now have . Please I want to buy a new phone this week, which of these will you recommend for me? It appears her colleagues have no idea what her real age is. Op said 17, Mercy said 16.
hmmm sixteen with a body of a lady in her 20s,,, well its her football age. 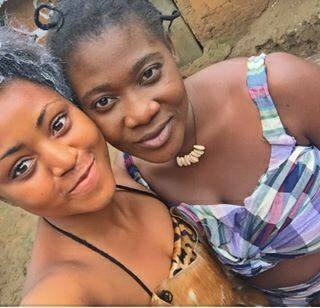 This mumu girl no dey pass 17 years? She celebrate her birthday every month?